We started off the summer with lice. Mal was one of at least 3 kids in his Kindergarten class to have them. We promptly took the whole family to a local business, The Lice Clinic, for checks and a one-time treatment if you have them that is guaranteed for five weeks. Mal was very excited by all this, and proudly announced to his summer camp the next day that he'd had bugs in his hair and that the bugs had laid eggs! 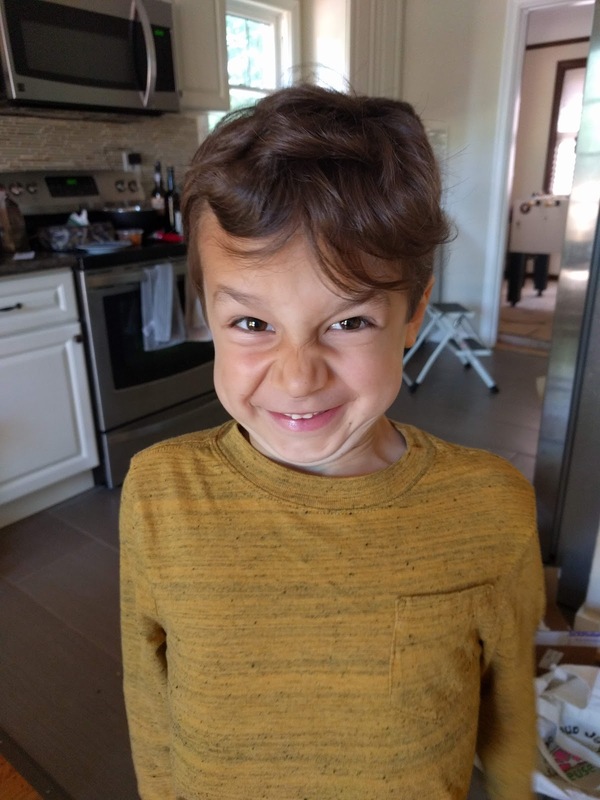 Sadly, between that and his persistent complaints whenever we comb his hair, we decided to suggest cutting his hair short. 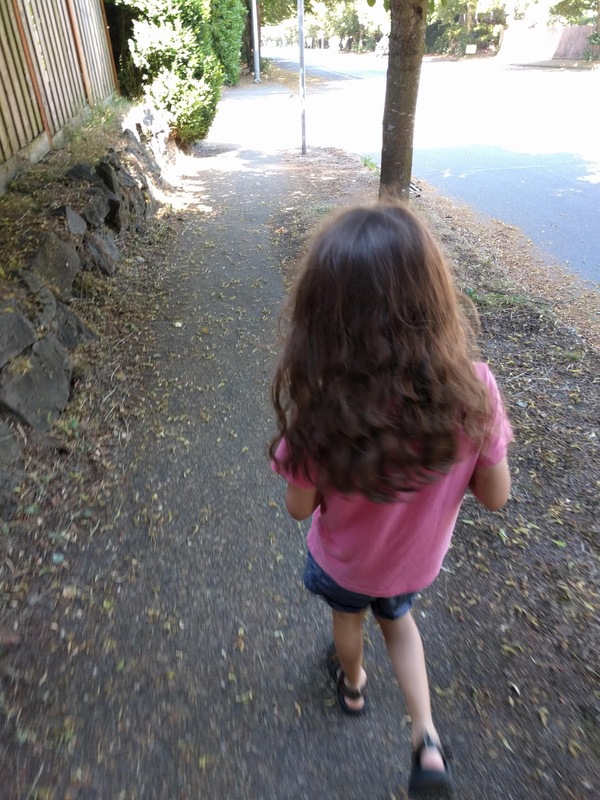 I will definitely miss his long hair, as it's beautiful when it's been combed, but it's getting frustrating to care for since he won't care for it himself. Mal was more eager to cut his hair than I expected, given his persistent dislike for hair cuts historically and frequently saying he likes long hair best. 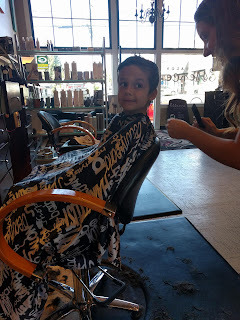 He also wanted to go to the other extreme of "bald", which I'm not sure I could handle. 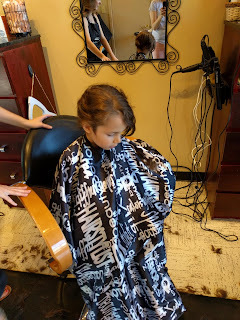 I have never liked the buzzed super short look that so many people do for boys, so while I typically love to let my kids do whatever they like with their hair (as long as they can care for it themselves), I'm not wanting to let him go that far just yet. Give me some time to adjust, and in a year or so if he still wants it super short like that, fine. 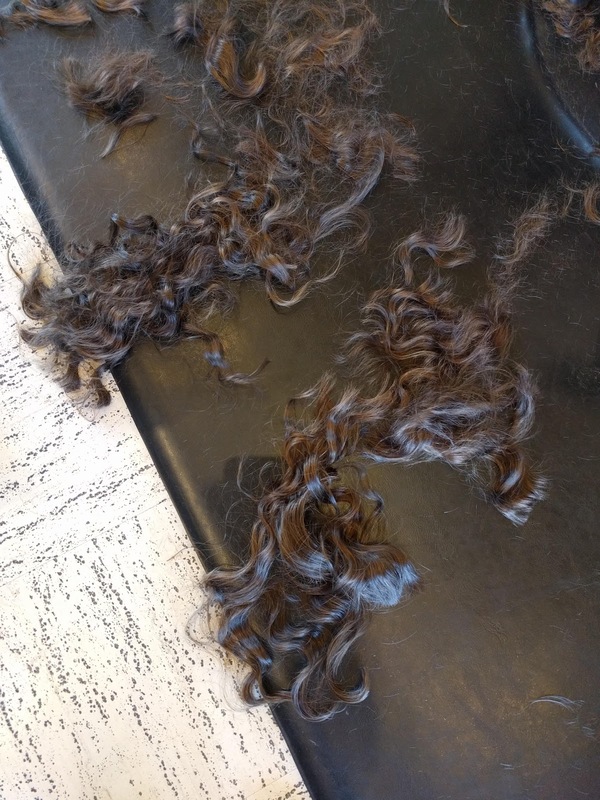 I may not like it, but it's just hair, and it will grow. Gareth desperately needed a cut as well, so I scheduled them at the same time. Ryan has been complaining that Gareth's hair wasn't getting cut short enough at previous visits, so I made sure to get a picture only halfway through which I sent to Ryan, telling him Gareth was all done. 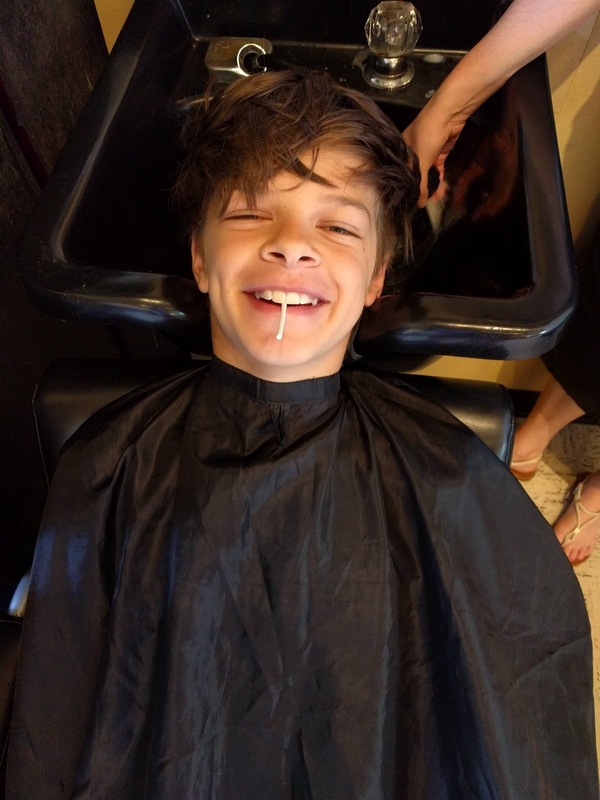 Our stylist was shocked that Mal wanted to cut his hair off. He was ready to go too - jumped up on the seat by the sink as soon as Gareth was done. When I brought him here for the first time a couple years ago, he was terrified of the sink (water is scary!) 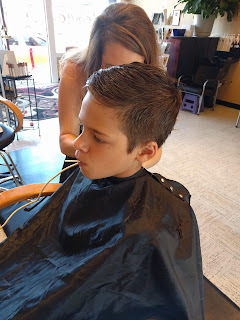 and getting his hair cut. 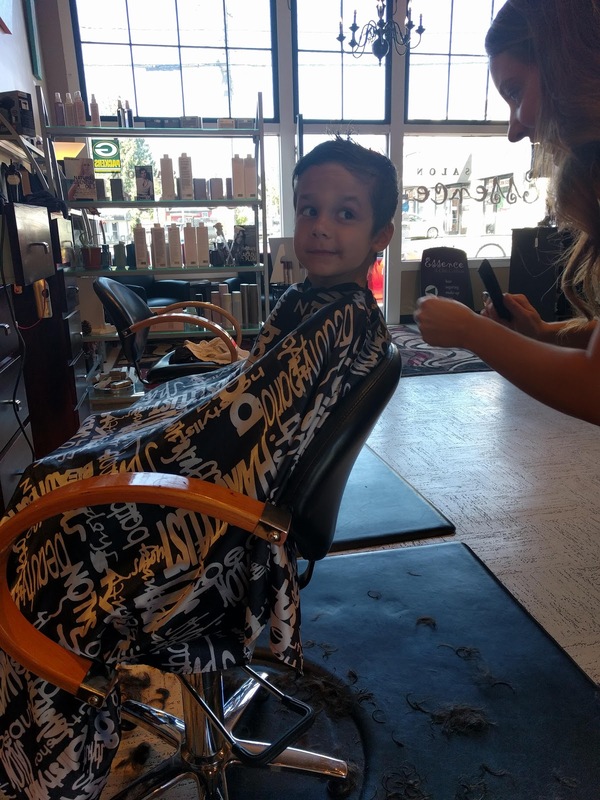 Even the last time I brought him in, he held his fingers about a centimeter apart when telling her how much he wanted cut off. But he did awesome this time; he's made huge progress this past year with so many things he'd always been anxious about before! 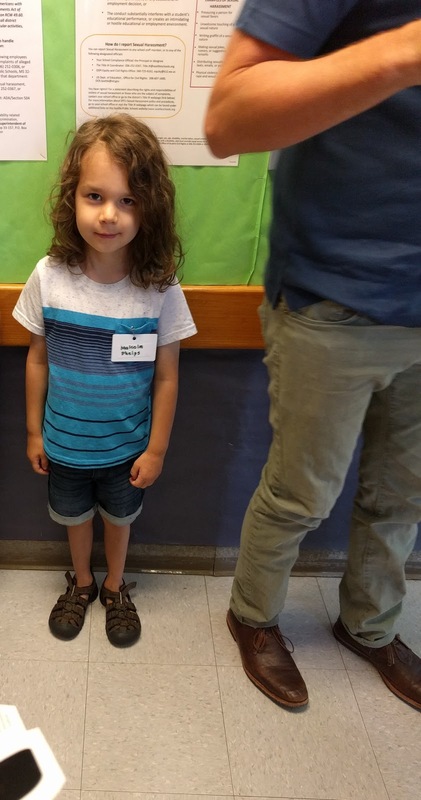 The one on the right is the beginning of the school year - his hair grew so much this year! We had to take the bus to the salon because the car battery died for some unknown reason and Ryan was stuck waiting for roadside assistance for a couple hours. I caught this picture while walking to the bus stop. 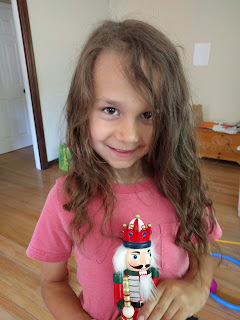 His hair was looking so nice, because I'd been finding time to comb it every couple days and braiding it to help prevent tangling. He even let her use the clippers around his ears and neck. I thought that might be pushing it and that she'd have to do her best with scissors, but he did okay with it after she showed him that they wouldn't hurt. 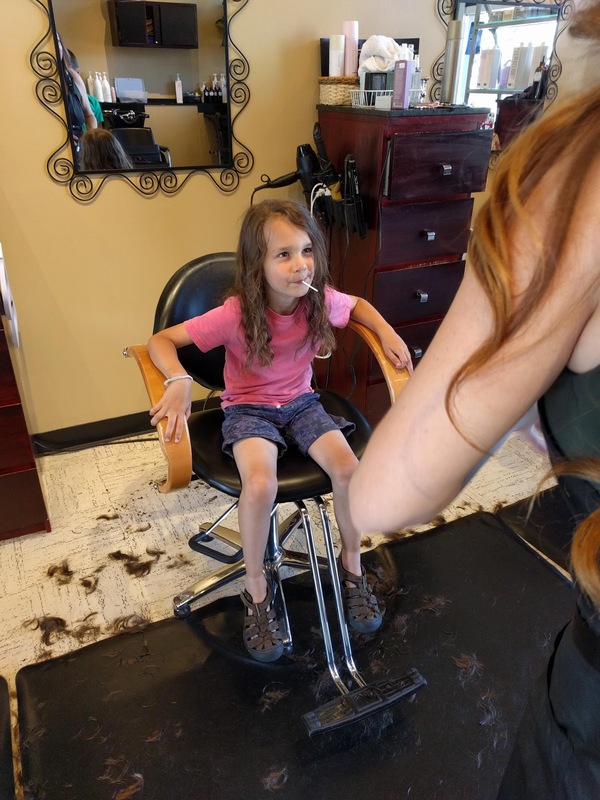 It was rough seeing all his hair on the floor (we could've donated it, but that was a bit more work than I have time for at the moment), and of course it's weird to have this strange-looking child in the house that has all the same mannerisms as Mal. But we'll adjust eventually, just as we did with Gareth.